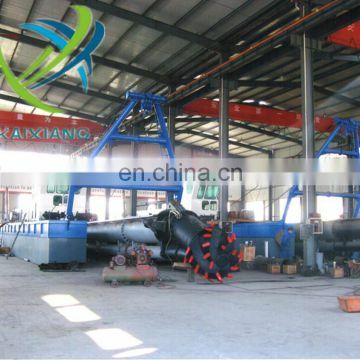 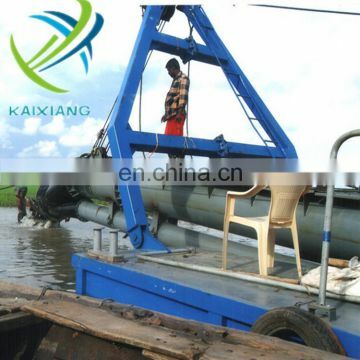 This equipment is pumping sand dredging equipment for hydraulic cutter suction, the floating body adopts the assembled box structure; the device is provided with a transverse device, sand suction tube set up. 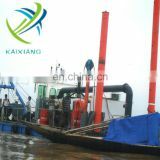 The main engine of the engine room of this equipment is driven by sand pump. 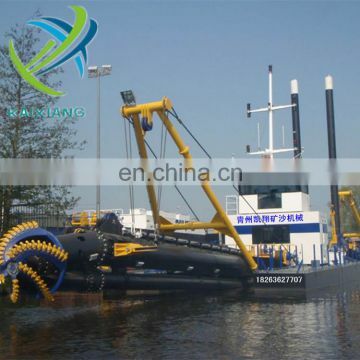 The ship configuration winch, bridge hoisting winch, tail positioning cylinder, pump throughout the work by the auxiliary diesel engine driven. 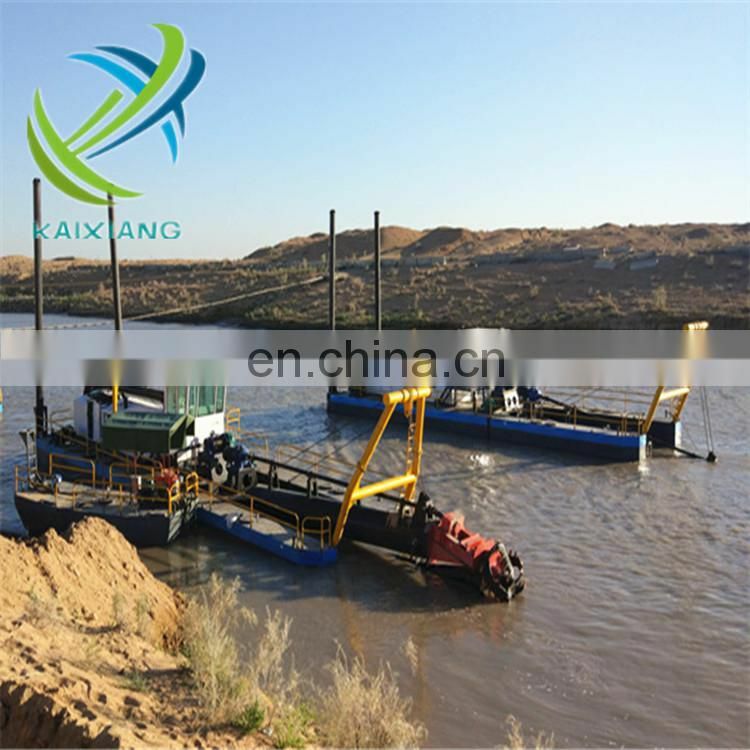 Inland waters a-flight zone and pumping sand dredging. 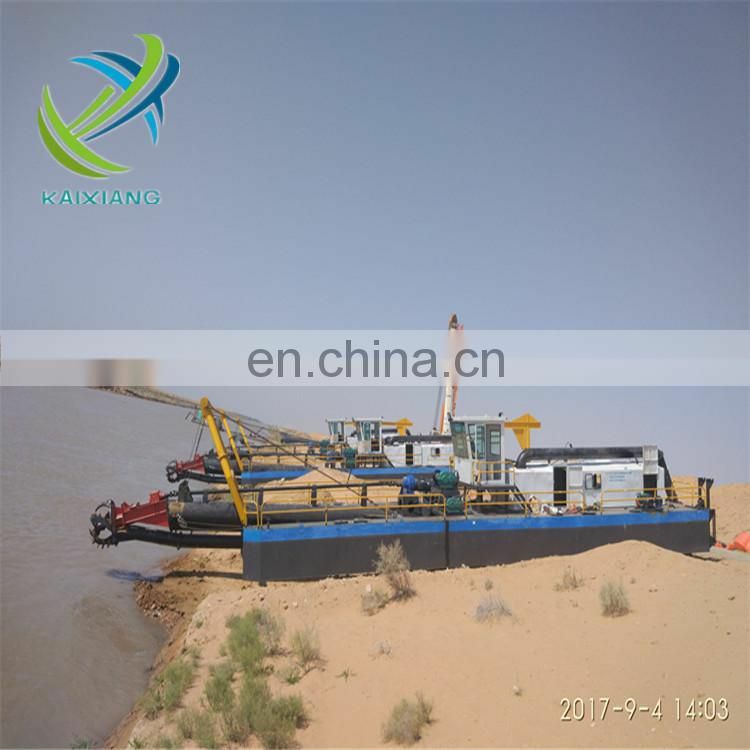 Class IV and the following river sand, sand. 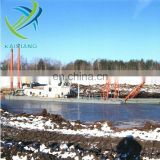 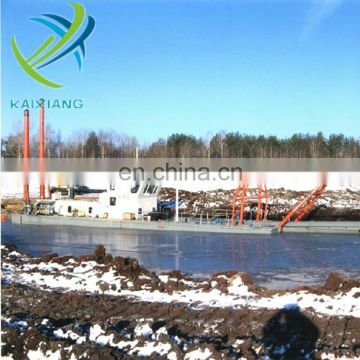 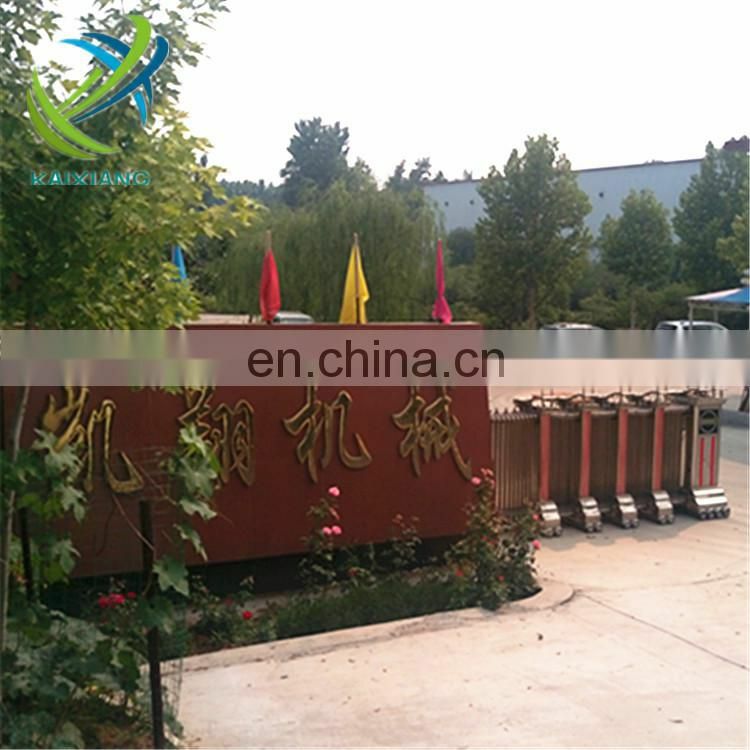 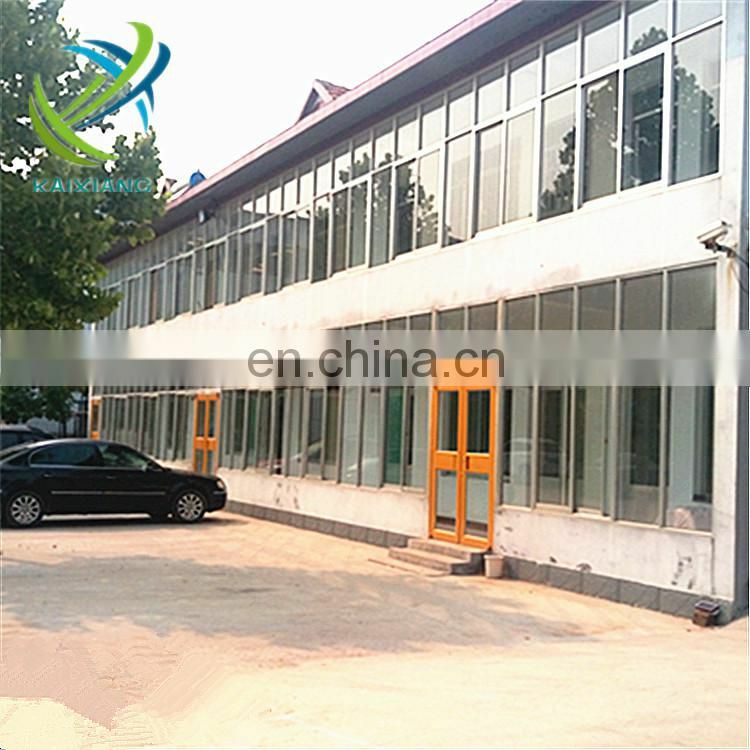 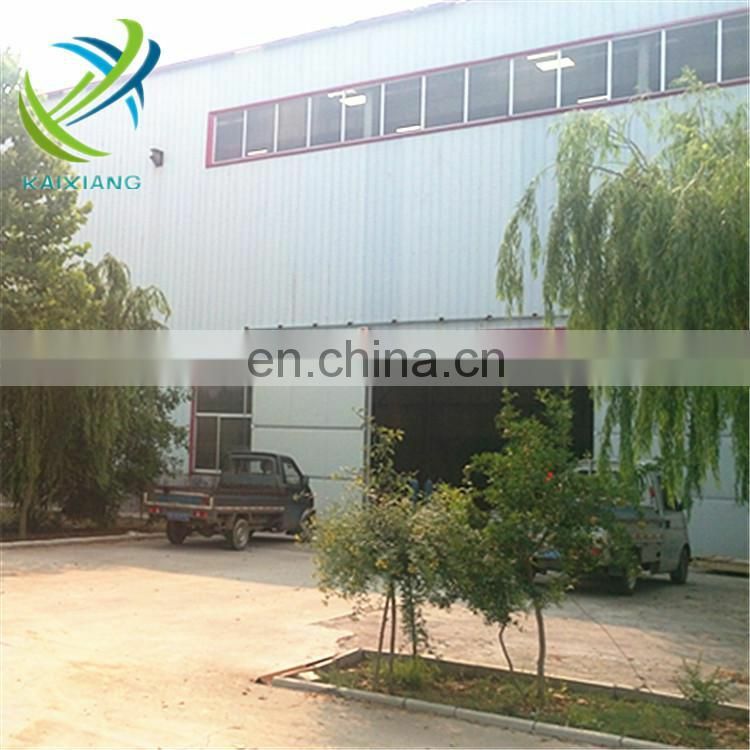 Qingzhou KaiXiang Ore Sand Machinery Co., Ltd. is a professional manufacturer in the field of the dredging industry,which integrates scientific research and development, mechanical design, production, installation and commissioning services. 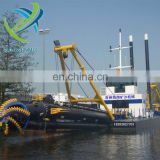 Main products include Dredger, Gold dredger, Dredging ship,Pumping sand ship, Dump barge, small/medium/big -sized iron sand extraction iron powder ship, Land and water automatic dredging ship, Water extracting and dry extracting iron sand, Sand screening machine, Ground dragon sand washing machine, Stone washing machine,Sand hill broken washing machine, etc. 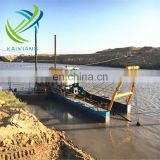 About 16 big series and more than 80 specifications for the user to choose, and design and manufacture products according to the geographical environment of the user.